1. God created us to Sabbath (rest). Right now I am planning a small get away for my wife and I. Like any planned vacation, I began to flesh out some of the details: how much time we would be in the car, where we would need to spend money (you can donate if you want), etc. Then I started to think about all the unknowns we might encounter. You know, will the hotel turn out to be sketchy? Will we be forced to eat at McDonalds for every meal or will we actually come across a Chick-fil-A? Will we run out of gas between point A and point B or will Siri lead us to springs of oil? In an instant I went from looking forward to some sweet sabbath with my wife, to stressting out about all the stupid trip details. 2. Sabbath’s on earth are needed, but they are only Shadows. the only logical explanation is that I was made for another world. 3. Jesus is the Substance of our Sabbath. We were not created for a Sabbath -Sabbaths were created for us (Mark 2:27). In other words, God didn’t create us for vacation, making earthly rest an ultimate goal. 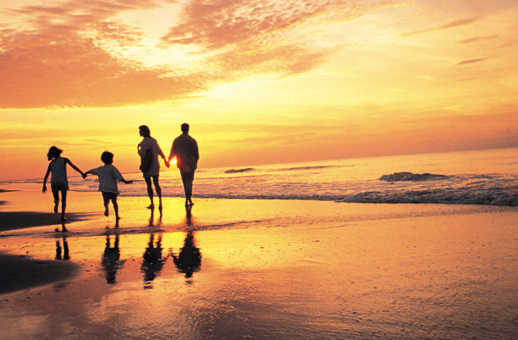 Don’t get me wrong, vacations are good –they exist for us. BUT we were designed for something far greater than a Sabbath. We were made for Jesus. He can give true rest for the weary, strength for the weak, and joy to the joyless (Matt. 11:28, Isaiah 40:31, Psalm 16:11). Jesus is the essence of our Sabbath. “the seventh day is a Sabbath to the LORD your God” (Ex. 20:10). So take vacations and take a day off for pete’s sake -those were made for you to take, and the world doesn’t ride on your shoulders. Just don’t lean all your weight on them. You will be failed by them every time. Jesus is our true vacation place, and at the same time, we can find our home in him. good points jason. i’d also add that its the same way in how we “live for the weekend.” if that is all we look forward to, we are missing out on 5/7ths of some great stuff God may be doing as we find our rest in Christ. thx for the reminder. I think that’s definitely a great point, Todd! There are so many things that I left out and so many different directions that could have been taken. I think that “living for the weekend” is definitely worth noting!